Everyone concerned about climate change won a huge victory on Friday when President Obama rejected the Keysone XL pipeline. Stopping Keystone has been a top priority on the climate front for the past few years. One part of transitioning to a new world is actually building parts of it. That’s happening now: with renewable energy, electric cars, and smarter grids starting to come together, it’s at least possible to see ahead, however dimly, to a world that’s not dependent on fossil fuels. There are new and better alternatives now, which is a key political and messaging asset. But the other part of transitioning to a new world is contesting the legitimacy of the old one. That means taking assumptions, institutions, and technologies that have a presumptive social warrant — that are assumed necessary, legitimate, and worthwhile by default — and, God help me for using this word, problematizing them. The same logic applies to building a movement for One Global Democracy. 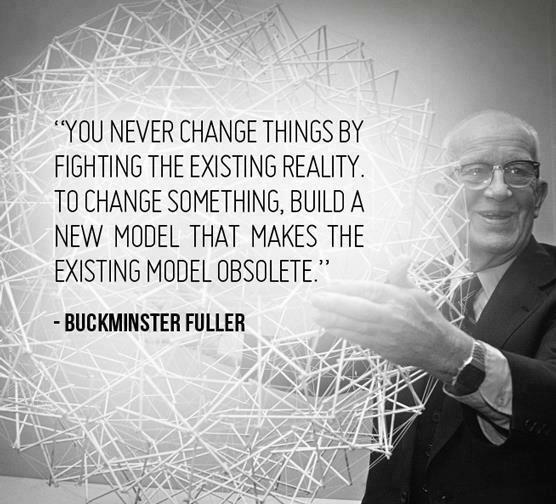 Half the answer is building new systems, such as blockchain-based voting, that will make our current systems obsolete, as Buckminster Fuller famously prescribed. But, as Roberts points out, the other half of the strategy is to build a cultural challenge to institutions and practices that have long been presumed inevitable, yet no longer serve us. Less than six months ago, we put to rest the entrenched but false idea that marriage should be only between a man and a woman. Now, with the Keystone victory, we’re challenging the presumption that we must always burn any available fossil fuels. Next, let’s ask whether we should still rely on our centuries-old system of separate nation-states to handle global problems — like climate change — or whether the time has come for a better model.